Blast away dust, dirt and microscopic debris from hard to reach areas. 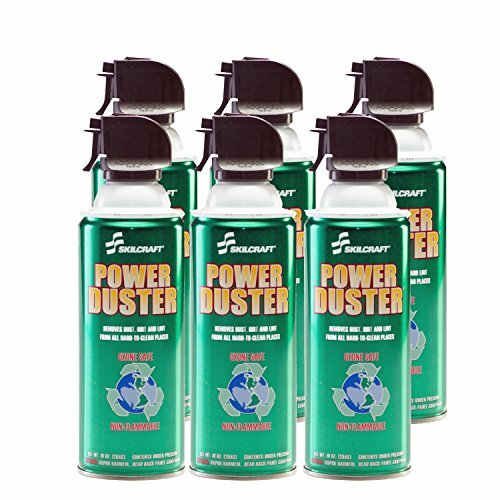 Power Duster easily removes dust from inconvenient places on furniture, knick knacks and more. The formula is ozone safe, and has an indefinite shelf life. If you have any questions about this product by Skilcraft, contact us by completing and submitting the form below. If you are looking for a specif part number, please include it with your message.